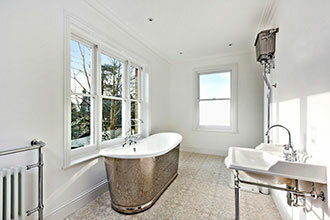 Ayling Prestige Renovations: Building, plumbing and roofing. After years of experience in the building industry, as well as running a very successful gas and plumbing company, Robert Ayling’s contact list of industry experts was so extensive that he decided to establish Ayling Prestige Renovations in 2014. Talking to potential clients and his contacts within the industry, he realised that there was a clear need for a different sort of building company, one which would listen to the client’s wants as well as offering advice on how best to achieve their dream whilst keeping a strict eye on budget and time-frame. Within this very short period of time, Ayling Prestige has worked on a number of prestigious projects, including the renovation of a former care home into a stunning 5 bedroom family home in central Guildford; renovating the kitchen and dining room of a beautiful country house in Surrey; a large extension to a period property in Churt; a new build in Aldershot as well as a number of smaller refurbishment projects. 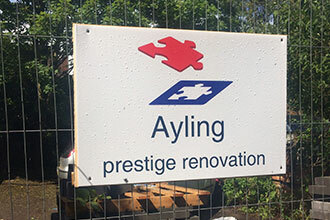 Ayling Prestige Renovations’ goal is always to provide a total building solution for clients, using their dedicated team of highly experienced and skilled tradesmen, from roofers to plumbers and carpenters to structural engineers. Led by expert project managers and foremen, each project no matter how large or small is guaranteed to finish on time and within budget. Please call us on 07584675862 or email info@aylingprestige.com and we will be happy to come out to discuss your project. 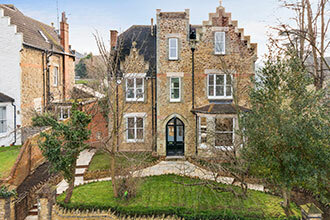 Neighbour to refurbishment of former care home, Guildford. Rob Ayling showed us what he is accomplishing in this house. He is not compromising his high standards. Rob has building coursing through his veins and loves the creative side, keeping all materials on site, respecting the environment. From our initial meetings with Rob and his team, we felt confident that we had made the right choice for extending and remodelling our kitchen. 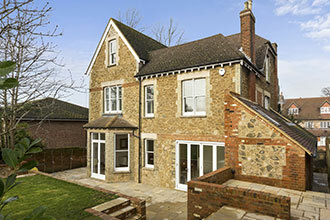 Ayling Prestige Renovations undertakes all types of building work, from a simple refurbishment to a new build. Working now under the umbrella of Ayling Prestige Renovations, RJA Gas and Plumbing is the place to contact for any of your plumbing requirements, no matter how large or small. Our roofing department provides solutions to every roofing problem from a few replacement tiles to a complete roof over-haul. We hire out practically anything you could ever need for your building project. Just give us a ring.